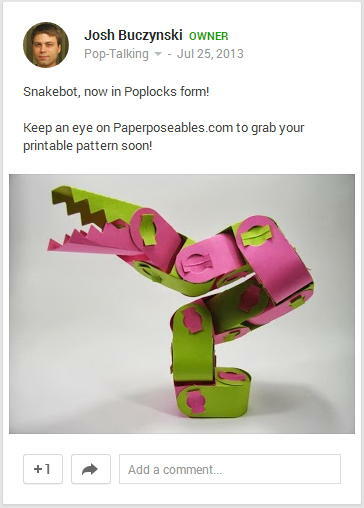 Visit the Poplocks Papercraft Community on Google Plus to see and share more about Poplocks toys, designs, how-tos, or just talk. It is a publicly view-able message space, but in order to post, you will need to to be a Google Plus user and to sign up for posting privileges. 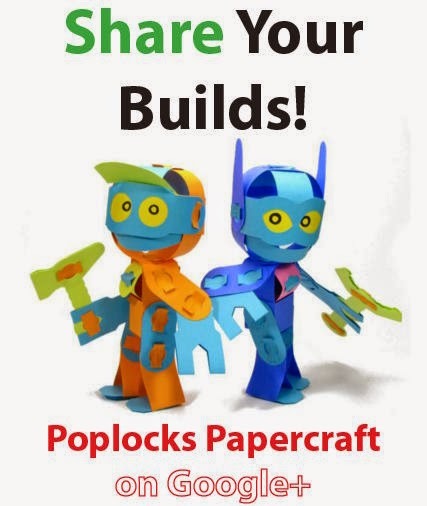 If you have something fun to share, or just want to see more ideas, give the community a quick visit!